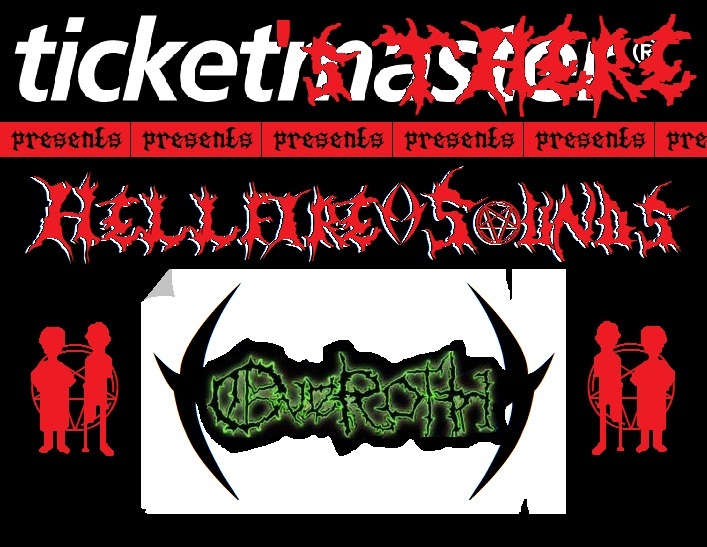 Welcome to Hellfire()Sounds, Tickets There’s brand new metal review series. Like the Irish Noise and MySpace Reviews of the past, we’ll be jumping around MySpace’s, Facebook profiles, Soundcloud’s….etc. for the best new / old / unheard / overplayed metal we can find. Today we kick off the series with Overoth, whose five MySpace tracks have been doing the job all the way to the bank this morning. Overoth have promised a comeback this year with new material well under way. In the meantime, metal fans would do well to revisit the Belfast band’s debut album Kingdom of Shadows (2010) and their debut E.P. Death Personified (2007) which are both represented in the bands MySpace player. Kicking off with ‘Upon The Alter’, Overoth’s present a cryptic-doom laden sound with creeping evil guitars, brawling vocals and an all-consuming aggression. Against a back drop of impending doom, Andy Ennis’ vocals bellow forth with a crisp, convincing sound needed to carry death metal and brand its mark upon the listener. ‘I Am Evil, I Am All’ (killer name) again shows the quality of the band’s debut album with dense wall of rhythm heavy sounds, while ‘Death Personified’ comes spiralling out with a renegade twirling nightmare feel. ‘Suffering of the Detained’ and ‘Oath of the Flesh’ again deliver a faster, sharper sound than that seen on the Kingdom of Shadows tracks on offer, but you’d miss the apocalyptic backdrop the band apparently mastered in the three years between both releases….uhm, release. This entry was posted on February 20, 2012 at 3:01 pm and is filed under Hellfire()Sounds : REVIEWS, Music, Special Features with tags Andy Ennis, Death Personified, hellfire sounds, I am Evil I am All, Kingdom of Shadows, MySpace, Oath of the Flesh, Overoth, Suffering of the Detained, Upon the alter. You can follow any responses to this entry through the RSS 2.0 feed. You can leave a response, or trackback from your own site.